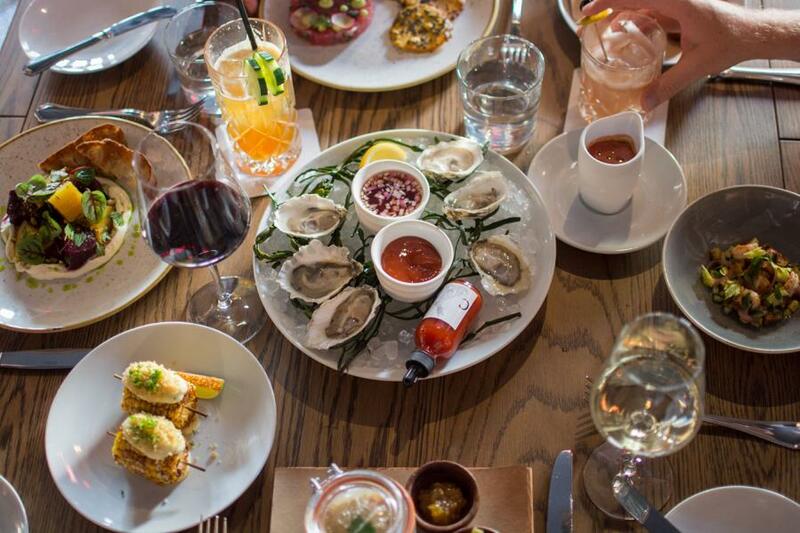 What to do in the city considered one of America’s premier culinary destinations? Roll your sleeves up and step into the kitchen yourself, of course. There’s always a little lagniappe, or something extra, when you venture to the South for a visit to the Big Easy. A city that’s defied all odds through the sheer will of its proud inhabitants, New Orleans offers a taste of Old World charm and flair elevated by one remarkable fact: Rarely will you ever be somewhere that has such a high concentration of people so visibly happy. Celebrating life is a way of life in NOLA. 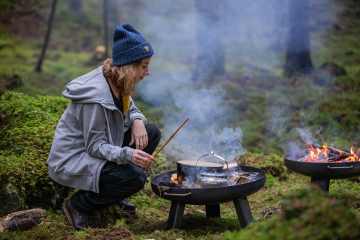 This adventurous spirit has solidified a unique identity through hundreds of years of cultural transition — rooted in Spanish and French colonialism, mixed with the hardships of African and Caribbean cultures, and yet also distinctively American. New Orleans is quintessentially American in its dogged resiliency: In the aftermath of one of the biggest natural disasters in modern American history rose a city of people unabashedly proud and defiantly unbowed. In light of the city’s ten-year post-Katrina rebuilding, Jetset took a trip down to the Big Easy in order to illuminate that extra special quality that (with its distinguished mix of influences) New Orleans possesses. When visiting the Big Easy, we recommend savoring the elegance of the bustling French Quarter, strolling up and down Magazine Street for fine dining and shopping, learning French Creole sayings while mingling with the locals, and then finding your way to the Garden District to explore the rustic charm of the neighborhood’s signature Antebellum mansions. And of course, no trip to one of America’s culinary capitals would be complete without sampling classic and modern takes on the region’s Creole cuisine — and, if you’re feeling extra adventurous, rolling your sleeves up and stepping into the kitchen to try on the chef’s apron yourself. Through unavoidable inherent attraction, you’ll almost certainly find yourself immediately drawn to the French Quarter, New Orleans’ oldest neighborhood and one its most densely-populated with restaurants, hotels, and nightlife both classic and quintessential. While somewhat besmirched as an overtly loud and tourist-heavy part of town, it is undeniably the city’s premier destination, boldly displaying old world charm in the form of near 300 year-old Spanish and French architecture. 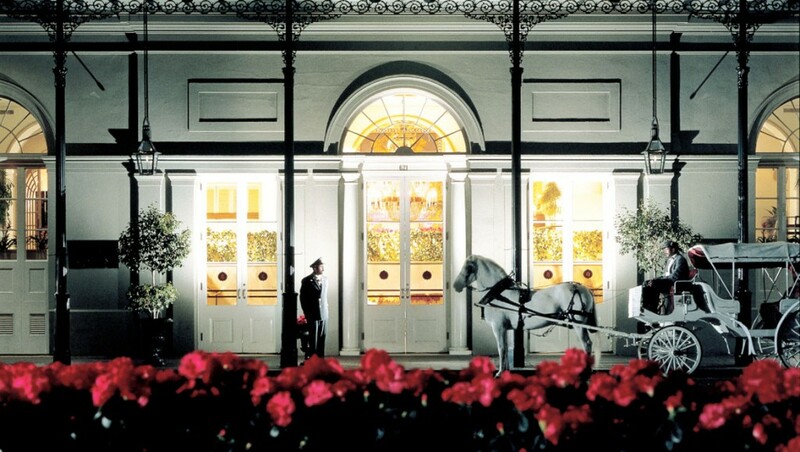 Amongst these surroundings, you’ll find the Omni Royal Orleans, an extension of the fine Omni Group’s luxury hotels that offers stately comfort a quick step away from the liveliness of the street revelers on and around the infamous Bourbon Street. The idea of taking in all of the rich sights and sounds of New Orleans might be a daunting one at first, so don’t be afraid to indulge in a few glasses of the champagne that flows free in the Royal’s lobby. 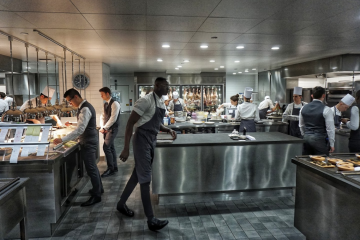 There you’ll glean insider tips about local restaurants to dine at and sights to see from the learned, attentive, and congenial staff. But before you venture out, be sure to pay a visit to the hotel’s own in-house dining option, the Rib Room, to ease yourself into the myriad flavors inherent to Creole cuisine. Although renowned for its succulent prime rib, also recommended are the potato bone and veal marrow with sauce bordelaise, New Orleans-style BBQ shrimp on sweet corn stone-ground grits, and shaved green onion and chilled, roasted red beets with Louisiana crabmeat tossed in Horseradish Crème frîache, fresh herbs, pickled red onions and red wine beet vinaigrette. 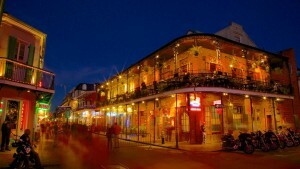 Venturing onto Bourbon Street is unavoidable, if you want to truly experience the city, encouraged. Nothing quite captures the bacchanalia of New Orleans like the atmosphere of the signature purple, green, and gold bead-laden street, which one could mistake for Mardi Gras 365 days a the year. After awaking at the Royal, take a quick walk over to Café Du Monde (which holds the distinction of social media’s most geo-tagged foodie locale worldwide) for beignets mounded with heaps of powdered sugar. Chicory-laced coffee goes is integral to shaking off your Bourbon Street hangover and starting your day off right. Getting to know the real New Orleans is getting to know its many distinctive neighborhoods and outlying communities, or “faubourgs.” For a unique combination of upscale shopping and fine dining, be sure to go Uptown for a stroll down Magazine Street. Uptown and its accompanying neighborhoods were largely untouched by the disastrous impact of Hurricane Katrina, and they have operated as the city’s commercial hub in the wake of the storm’s devastation to the French Quarter. On display there is a more locally-flavored feel and a peek into New Orleans daily life, with local artists, artisans, clothiers, and restauranteurs occupying this side of town. From there, venture onwards to the Garden District to explore its distinctively lush flora and unique architecture which features hulking oak-lined streets and Roman-columned mansions which date back to the Antebellum era. The opulence of these home and the ease of New Orleans living and the s has attracted the likes of Brad Pitt and Angelina Jolie, Sandra Bullock, Nicolas Cage, and, more recently, power couple du jour, Beyonce and Jay Z to take up residency residents amongst long-time New Orleanian royalty such as the quarterback creating Manning family. 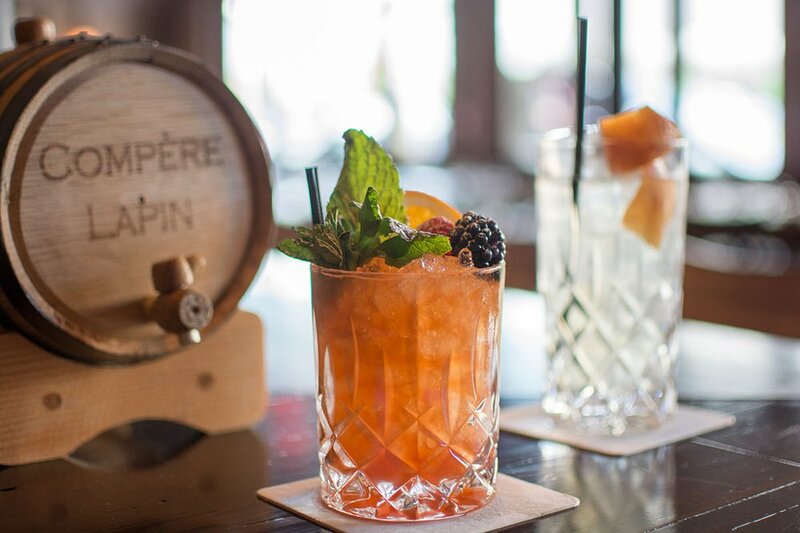 Essential to your trip should be a visit to NOLA’s current foodie hot spot, Compère Lapin, located in the Warehouse & Arts district en route back to the French Quarter. Literally translating to “Brother Rabbit”, this whimsically-named restaurant was founded by Top Chef: New Orleans contestant and local celebrity chef Nina Compton. 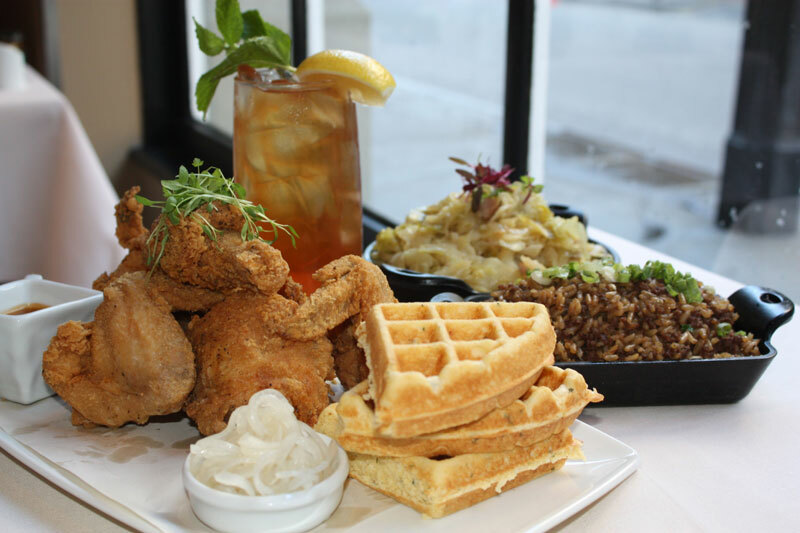 Compton skillfully updates the traditional New Orleans culinary repertoire of Creole ingredients by accenting its Caribbean roots and adding influences from the culinary artistry of Italian cuisine paired with her traditional French training. Highlights include the resturant’s brussels sprouts in buttermilk with crispy chicken skin, Caribbean seafood pepper pot, local grouper with beurre blanc, potato pearls and caviar, and the pici pasta with lobster and squash. Compère Lapin offers a refreshing and contemporary take on the traditional Creole flavor palette, further amplified by its offering of cocktails like their version of the NOLA classic Pimm’s Cup, and other stiff drinks featuring premium Caribbean rums splashed with the signature carbonated coconut water they have on tap. The ambiance at Compère Lapin is decidedly luxe, yet there is a refreshing character and youthful edge at play (be sure to purchase some handheld, locally-crafted art pieces from their playful “art vending machine”), offering an exciting addition to the city’s more traditional culinary experiences. Your adventures around New Orleans will always inevitably draw you back towards the excitement of the French Quarter, where the Royal Sonesta hotel is located, quite literally, on Bourbon Street. However, despite what assumptions its location might lead you to make, a recent $30 million renovation of this NOLA destination illuminates a graceful ambiance perfectly suited for the traveler seeking upscale comfort. There you’ll enjoy a truly VIP view of the excitement that makes New Orleans so characteristically enthralling as a hub of authentic jazz, vibrant night life, and refined Southern design. True to the city’s heritage as the birthplace of jazz music, you’ll find plenty of jazz legends in the Big Easy. Royal Sonesta features Grammy and Billboard award-winning Irvin Mayfield, who (along with other legendary New Orleans jazz musicians) holds residence at his namesake Irvin Mayfield’s Jazz Playhouse, located conveniently in the Sonesta’s lobby. It’s a must visit locale for any zz lover looking to whet their musical appetite in the Big Easy. Throw on an apron, roll up your sleeves, and expect to be put to work in the kitchen while learning the ins and outs of Creole cuisine and its locally sourced ingredients, with lessons in traditional food preservation like vegetable pickling, jellying ,and how to make head cheese, all while being regaled with Sins’ warmly personal anecdotes about New Orleanians’ triumphs over tragedy post-Katrina. 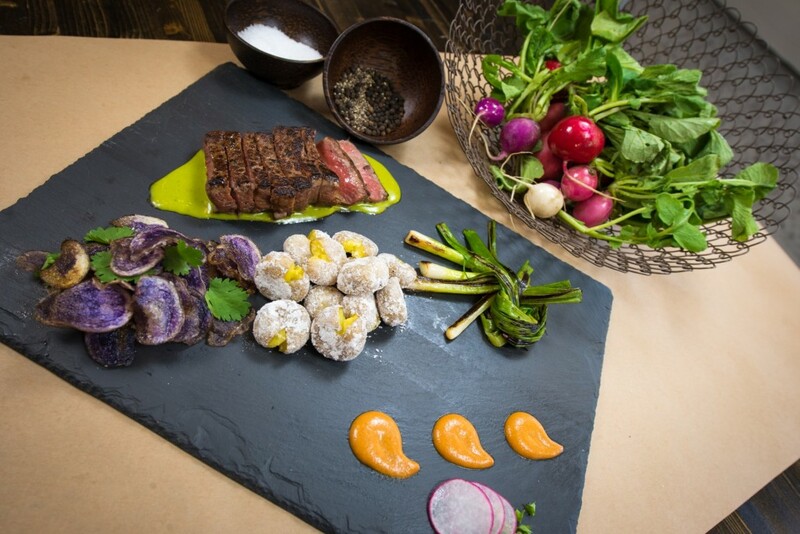 The wildly popular dining concept draws culinary adventurists from all around the world, so book your spots in advance and expect to be seated family style, surrounded by a diverse group of travelers united by a passion for regional cuisines, wine pairings, and good conversation. 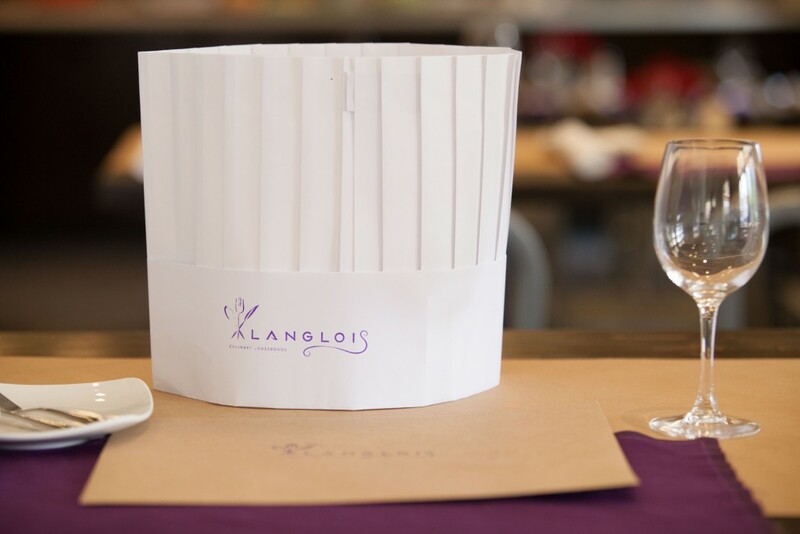 As with any farm-to-table restaurant, ingredients from the Langlois farm vary by season, so expect a revolving door of menu items based upon what time of year you visit. Early January welcomed a bounty featuring a warm roasted winter vegetable salad with parmesan and white wine cream dusted with parmegano romano powder (locally sourced from the French Quarter’s famousThe Spice & Tea Exchange); and pecan and andouille-crusted drum fish with braised local greens and beurre blanc with sweet and spicy cornbread croutons. Extra impressive were the wine pairings with each course (explained in fine detail by Langlois’ in-house sommelier), and an informative packet detailing the dining event’s recipes, techniques, and stories given upon departure. In addition to experiencing its fair share of luxe hotels and restaurants, you’ll likely venture away from the Big Easy with fond memories of the serendipitous surprises around every corner that always await. The best thing about NOLA is simply that the you never know what’s going to happen on any given day, at any given time — from spontaneous parades down Bourbon Street to jazz funerals for recently-departed music legends to frequently sparked, authentic connections with the locals. Perhaps most memorable will be that infectious, New Orleanian smile that will return to your face when recalling the adventurous spirit found only in the American South’s most celebrated city. 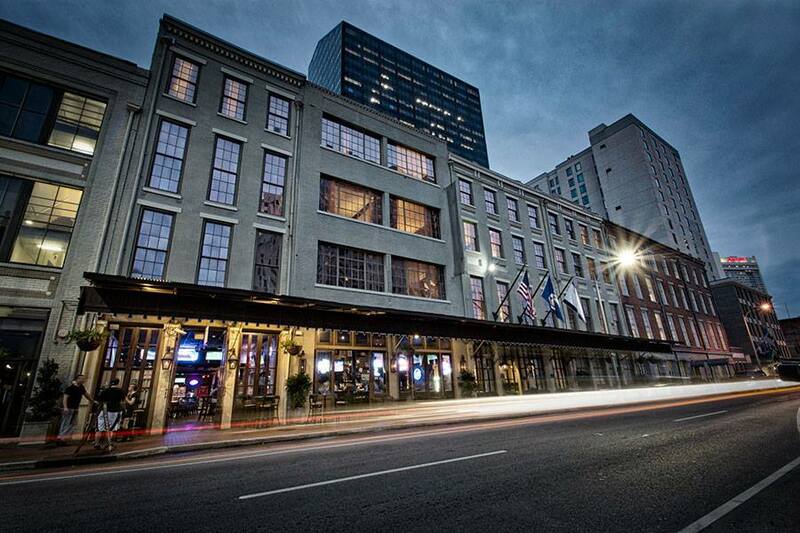 So make reservations today, and start forging your next New Orleans memory today.